The Dow Jones Industrial Average fell 147 points in pre-market trading as concerns about rising interest rates continued to erode market sentiment. On Thursday, the U.S. Federal Reserve issued a hawkish message on interest rates for the year ahead. The U.S. central bank held rates unchanged after its November meeting, but Fed Chair Jerome Powell suggested that another rate hike is poised for December. Currently, there is about a 75% chance that the Fed will raise rates, according to the markets. Today, multiple members of the Fed will give speeches and discuss monetary policy, the health of the U.S. economy, and expectations for growth in the year ahead. This morning, the Commerce Department said that the Producer Price Index (PPI) increased by 0.6% last month. That figure topped expectations of 0.2%. This is a clear indication that inflation is growing. U.S. WTI crude oil fell under $60 per barrel, bringing prices down 20% since Oct. 3. Brent crude oil also hit bear market territory after sliding under $70. We're witnessing an unbalance in the fundamentals of the crude market. Rising production in Saudi Arabia and West Texas is fueling oversupply at a time that global economic conditions have been eroding. In addition, President Trump's decision to allow certain nations to purchase crude from Iran is adding to the downward pressure on prices. A federal judge in Montana has halted the construction of the Keystone XL pipeline. The court order could lead to even more additional delays to the roughly 1,200-mile, $8 billion project. The judge argued that the United States government did not complete its analysis on the environmental impact of the massive oil pipeline regarding greenhouse gas emissions and on tribal lands. Shares of Walt Disney Co. (NYSE: DIS) gained 2.3% in pre-market hours after the company topped earnings expectations and announced the launch of its own streaming channel planned for 2019. 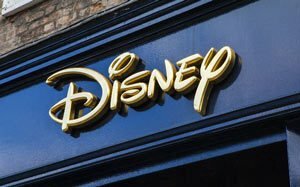 The company said that it will be unveiling its new Disney+ as a rival to Netflix (NASDAQ: NFLX). The service will provide a home for the company's iconic films, original series, and new content from its Marvel and Star Wars franchises. During its earnings report, the firm reported a 50% jump in year-over-year revenue. Shares of Yelp Inc. (NASDAQ: YELP) plunged more than 30% after the online media firm reported a dismal earnings report after the bell Thursday. The firm fell short of revenue expectations and reduced its forward guidance for the fourth quarter due to slowing account growth. The stock has been trending downward since August after it hit a 52-week high and the firm raised its full-year guidance. Shares of General Electric Co. (NYSE: GE) fell more than 3% after JPMorgan Chase & Co. (NYSE: JPM) analyst Stephen Tusa slashed his price target for the stock to $6. That is the lowest forecast of any analyst on Wall Street. The stock recently fell under $10 for the first time since the Great Recession, and the firm slashed its dividend for just the second time since the Great Depression. Today, look for earnings reports from Athenahealth Inc. (NASDAQ: ATHN), GNC Holdings Inc. (NYSE: GNC), and Potbelly Corp. (NASDAQ: PBPB).